Thanks for being a Kickstarter Supporter! Welcome! 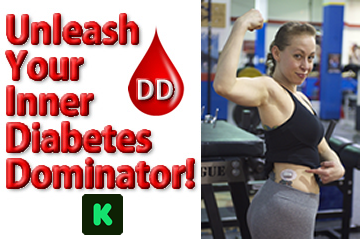 Thanks for stepping up to take action in your life, and helping to bring our Unleash Your Inner Diabetes Dominator Book to life! We will be launching our book in November 2015 in time for Diabetes Awareness Month. Be sure to LIKE my Facebook page HERE to get daily updates and motivation. Let’s get ready to Dominate!